Sunday was St Patrick’s Day, all over the Western world. From Wikipedia: Saint Patrick’s Day, or the Feast of Saint Patrick (Irish: Lá Fhéile Pádraig, “the Day of the Festival of Patrick”), is a cultural and religious celebration held on 17 March, the traditional death date of Saint Patrick (c. AD 385–461), the foremost patron saint of Ireland. I took this picture on St Patrick’s day in Chicago in 2005. 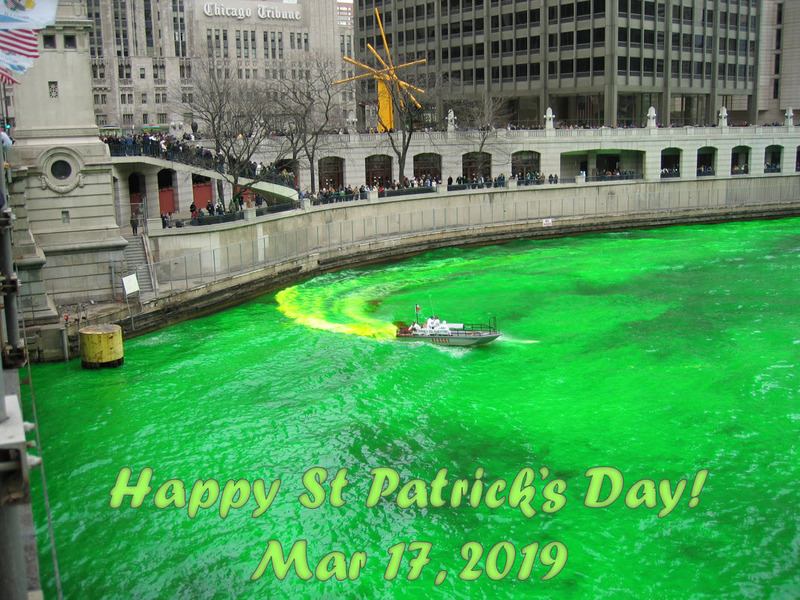 The tradition of dyeing the Chicago river green with vegetable dye started in 1962.